Have you got an awkwardly shaped bathroom with little to no space for a shower? Well look no further than this pentagon shaped design enclosure. 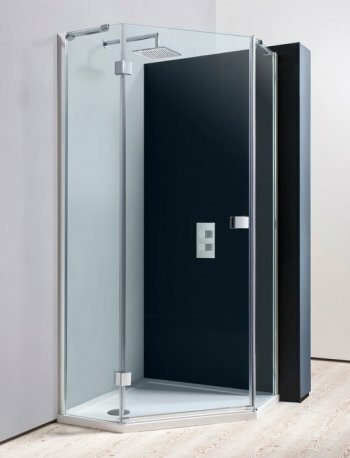 This shower enclosure measures as 900 x 900 but uses less space than your average square shower enclosure. Please note that we do not currently have this item on display.